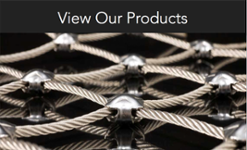 Knitting Wire - Loos & Co., Inc.
With over 50 years of experience, Loos & Co., Inc. provides the highest level of quality and performance in our knitting wire products. As a manufacturer, we control the process from start to finish so we can offer a wide range of alloys and sizes to meet any requirement. 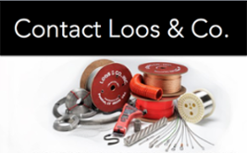 Trust Loos and Company for all of your knitting wire needs. Our fully integrated wire mill creates a streamlined manufacturing environment where quality is preserved throughout the process. 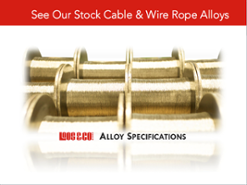 Our knitting wire is drawn in a multi-step process that creates wire in diameters from .001” to .035” with a variety of tensile strengths and mechanical properties. Often, this knitting wire is used in the manufacture of knitted wire mesh, as well as other similar products.